Stork Technical Services is a specialist provider of asset integrity management services in the power generation industry worldwide. Our services are tailored to help clients optimise performance by maintaining, repairing and modifying major assets. We work as one team, committed to continuity, quality, innovation and cost-efficiency to ensure that we add value throughout the asset lifecycle. Our first priority is always safety. At every level of our organisation, our award-winning global safety programme, REACH, provides us with a dynamic platform for delivering continuous improvement in our performance in this area. This is backed-up by a combination of dedicated services, in-depth technical excellence and a passion for unravelling complexity that makes us your long-term partner. As an original equipment manufacturer, delivering burners, deaerators and blades, we combine high-quality product engineering with the independent provision of in-depth asset integrity management. We offer maintenance, repair and overhaul services to different power generation plants, from conventional thermal, combined heat and power, to hydro, waste-to-energy, as well as onshore and offshore wind farms. We provide solutions on equipment components but can also integrate service offerings for rotating, electrical and process equipment, as well as mechanical, electrical and instrumentation. We use our expertise to assess your needs efficiently and advise you at a strategic level. We help you solve problems, embrace innovation and develop sustainable solutions. 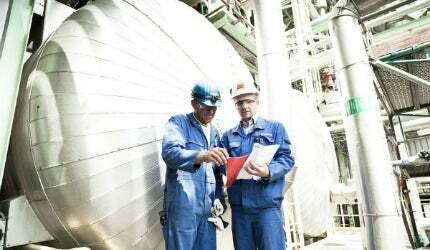 Through providing all the technical disciplines and skills required to implement these solutions, we offer you a single point of access to a fully integrated asset integrity assurance service. In short, we streamline the processes that are essential for safe, effective operations. By improving efficiency, availability and profitability, we help to optimise the value of your assets. We stand for the highest quality of service delivered with a safety performance that is always at the forefront of our industry. We lead by example. We are committed to building open and enduring partnerships with our clients. We believe that long-term relationships enable us to help our clients grow their business sustainably and successfully. Stork Technical Services New Zealand has been working with Vestas, a Danish global wind turbine manufacturer, for several years, supplying specialised multi-dimensional, non-destructive testing on wind farm turbines.